Home » How does Celexa help you deal with anxiety? How does Celexa help you deal with anxiety? Celexa (Citalopram) is an antidepressant drug used for treating depression and anxiety. 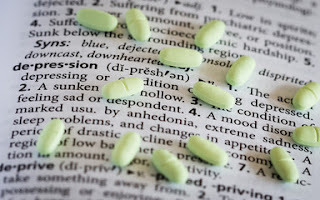 It was approved by the Food and Drug Administration in the year 1998 to treat major depression. This drug is a part of the selective serotonin reuptake inhibitor (SSRI) class of drugs. Citalopram helps increase the energy levels and improve the feeling of well – being of an individual. This medicine works by bringing back the balance of specific natural substance or chemical (serotonin) in the brain. Serotonin is responsible for regulating the mood, sleep and other functions of a person. Thus people who experience mood or anxiety disorder are said to have imbalanced levels of serotonin and an SSRI drug like Celexa can bring back the serotonin levels by stopping the nerve cells in the brain from absorbing it. In this way Celexa helps in bringing about the change in the mood of the person and reduces the anxiety. This drug may be also given to patients to treat other mental disorders like obsessive-compulsive disorder and panic disorder. It is also given to women who experience hot flashes during menopause. Celexa should not be taken by an individual if he/she is currently taking pimozide or is being treated with methylene blue injection. Also if the individual has taken MAO inhibitor, then Celexa cannot be taken for the next two weeks. The ingredients of the MAO inhibitor and celexa can create complicated side effects. Celexa cannot be given to an individual who is allergic to citalopram or escitalopram. It is noticed that younger people who take any antidepressant drug have suicidal thoughts. Thus it is important for the doctor to keep a check on the progress of the patient in every visit while undergoing treatment with Celexa. Even the family members and friends should be warned to keep track of the symptoms and mood of the person who is being treated. Celexa should not be given to anyone who is younger than 18 years without doctor’s supervision. And celexa is not to be given to children. Before starting to take Celexa it is advisable to inform the doctor about any illness or allergies that the patient is suffering from currently or in the past. The doctor must be given a detailed description of the patient’s medical history which includes personal and family history, especially cases of bipolar/ manic-depressive disorder or any suicidal attempts in the past. The doctor should be informed of the following situations for the safety and effective treatment of the patient. Antidepressant drugs are not advisable during pregnancy as it can cause lung problems in the baby. But the pregnant women who are taking any anti depressants cannot immediately stop this medication during pregnancy without the supervision of the doctor since it can lead to relapse of depression. Therefore a doctor should be informed if a person gets pregnant while being treated with Celexa. The doctor will give proper guidance on how and when this medication can be stopped without harming the mother and baby. A woman who is breast feeding their child must stop doing so when being treated with Celexa, since citalopram can pass into the breast milk and harm the baby. Certain drug interactions may cause adverse side effect and change the way how the medication works on the patient taking the dose. Therefore it is very essential to keep a complete list of prescribed, non prescribed and herbal medications the patient is currently taking. This list must be shared with the doctor and pharmacist. Any of the medicines should not be started, stopped or changed without consulting the doctor. It is important to be very transparent about these things to the doctor while being treated for any illness. Only once the doctor understands the patient will he/ she be in a position to give the correct medication. Some of the drugs that can interact with Celexa and should be avoided are those that can cause bleeding or rashes and those that increase serotonin in the body. Also a person cannot take MAO inhibitors two weeks before and after having Celexa. The doctor should be informed if the patient is taking any other drugs that cause sleepiness or any drugs for sleep and anxiety. Thus, it is important for a person to check the label of any medicine that he/she takes for any allergy or simple cold/cough since it can have ingredients that cause sleepiness. One can take the advice of a pharmacist before purchasing these medicines. How should Celexa be taken? Celexa should be taken as prescribed by the doctor at the given time and in right quantity. It is important to read and follow the instructions mentioned on the prescription label. The doctor at times may change the dosage for complete effectiveness of the drug. The medicine should not be taken in lesser or larger quantity and it should also not be used for a prolonged period than recommended. If the patient is taking a liquid form of the medicine, then the exact quantity has to be measured using a syringe or a measuring cup/spoon. These measuring devices are easily available at medical stores. This drug normally takes a month or more to show reduction in the symptoms and improvement from anxiety/ depression. The medication should be continued without breaking the schedule and the doctor should be informed if no improvements are seen for more than a month. Celexa should not be stopped all of a sudden as this can cause some unpleasant withdrawal symptoms like increased anxiety, irritability, headaches, confusion etc. The doctor should be consulted on how to stop taking this drug without any side effects. Celexa should be stored in room temperature away from moisture and heat. If a patient misses a dose, then it should be taken immediately when remembered. But if it is already close to the next scheduled dose then skip the missed dose as it can lead to over dosage and this can be very harmful. If the patient happens to take an overdose, he/ she must immediately seek medical assistance. What should be avoided while taking Celexa? One must avoid drinking alcohol while being treated with Celexa as it can cause certain side effects. Celexa may also weaken the thinking and reactions of the person, so avoid any activity that requires one to be alert like driving a car or using a machinery etc. The doctor should be consulted if the patient is planning to take any nonsteroidal anti-inflammatory drug for treating fever, swelling, pain or arthritis. Since these drugs along with Celexa can easily cause marks on the skin and bleeding. A patient will need to go for an emergency check up if he/she is experiencing any allergy by taking Celexa medicine. The allergy can be in the form of skin rash or itchiness, breathing problem, or inflammation of face, lips, tongue or throat. If the patient observes any new symptoms or worsening of the existing symptoms like behavioral changes, insomnia, restlessness, irritability, violent, hyper active, unfriendly etc., then the doctor should be informed. A person suffering from anxiety or depression will always want to be cured immediately from the symptoms. But unfortunately these medications take time to show improvements. Thus the doctor who is treating the person must initially tell him to be patient during the course of treatment and not expect immediate recovery. In most of the people some improvements are seen within the first week of starting Celexa. But this may not be the case for all, so the person undergoing treatment should be encouraged not to stop the medication mid way but continue taking the medicines in the required dosage. For complete recovery it may take months for the medicine to work. • The maintenance dose may be ranging from 20 – 40 mg/ day. The dose may be increased to 40 mg depending upon the condition of the patient not more than once a week. The maximum dosage is 40mg. • The dosage may vary from person to person depending upon his/her medical condition. So only after consultation with the doctor should Celexa be taken for treating the illness. Matt Bailey is a noted writer, content marketer and Social Strategist at FindaTopDoc. Find a best Local Doctor by Speciality and Insurance.